"Nobody reads a mystery to get to the middle. They read it to get to the end. If it's a letdown, they won't buy anymore. The first page sells that book. The last page sells your next book." 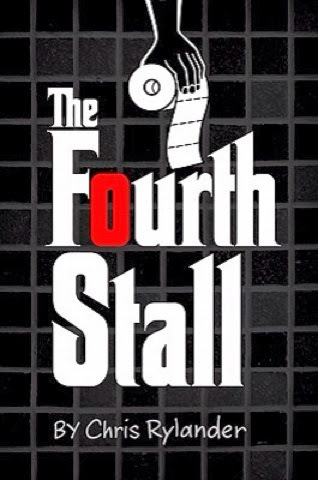 The Fourth Stall by Chris Rylander does all this and makes you laugh. I admit that I didn't expect to like or enjoy this book as much as I did. My brother, who is a teacher of grade seven students, recommended it to me. One of his nonreading boys recommended it to him. That's pretty high praise so I gave it a try. Two best friends run a problem solving business out of an unused bathroom at their school. Then a high school gangster starts moving in on their turf. There is so much to admire in this book. Its biggest appeal for me is the Dashiell Hammett feel. Imagine the gritty battle between good and evil writ large upon the school yard. I liked the juxtaposition of caricature and rich characterization. The plot is rich with layers of baseball, betrayal, intrigue, suspense, humour, and even a bit of violence keep you turning the page to see how it ends. I suspect even Micky Spillane would approve.